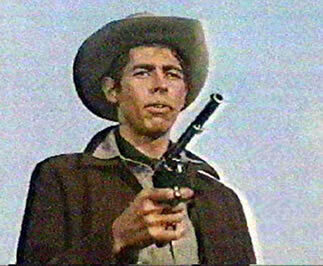 (December 15, 2002) James Coburn died of a heart attack on the evening of November 18 at his home in Los Angeles. A distinctive, talented, and prolific actor (The Magnificent Seven, The Great Escape, Our Man Flint, and more than 80 other films as well as numerous appearances on television) who was well known internationally, he won a Best Supporting Actor Academy Award in 1999 for his role in Affliction. Coburn was also an enthusiastic and uncompromising advocate of alternative medicine. Interestingly, James Coburn was a contemporary of alternative medicine critic Victor Herbert, MD, (see accompanying obituary) - the physician was eighteen months older than the actor - and both men died within a few hours of each other. Notices of Coburn's death were widely published and broadcast. A few of them mentioned in passing that he was forced to put his career on hold in the 1980s when he developed crippling rheumatoid arthritis but that he eventually returned to work, citing the fact that dietary supplements had helped him to recover his health. After his experiences with alternative medicine, Coburn became a proponent of medical freedom of choice and nutritional supplements and often spoke about the issues. On April 1, 2000, for example, he was among Larry King's guests in an hour long show on CNN titled "How Can Arthritis Pain Be Alleviated?" Coburn told King, "MSM [Methylsulfonylmethane] is my savior. I mean, [I] have no pain. I go to sleep. I mean, the only pain I have sometimes is in my head from, you know, thinking I'm so stupid not to have gone with something like this really early, because I couldn't walk." During the program, King asked his guests if the FDA should control the nutritional supplement industry. Coburn replied, "No, definitely not. . . .They're interested in pharmaceuticals because they can sell them and make a lot of bread out of it. . .MSM helped me in three days. It took the pain away in three days. See, I can tell that because I am speaking from experience. I don't need a double-blind, 9,000 people taking the goddamn stuff. I took it, and I know exactly how it works." Coburn added, "When I first got this thing [arthritis], I went on a long fast. I did colonics for 13, 15 days: every other day for 15 days I did it. And when I broke the thing, I broke it with what I thought was really a very healthy salad it. I broke out in hives. I became -- I found out that I was allergic through a cytotoxic blood test that I had, which is, you know, disclaimed by everybody else. But I found out that I was allergic to 45 foods out of 70 that I was tested for, stopped eating those foods, and immediately started getting better." Coburn's final comment on the show (which was somewhat tongue in cheek since the transcript notes "laughter" among the participants after he said it): "I'll fight for my right to take MSM down to the last!" 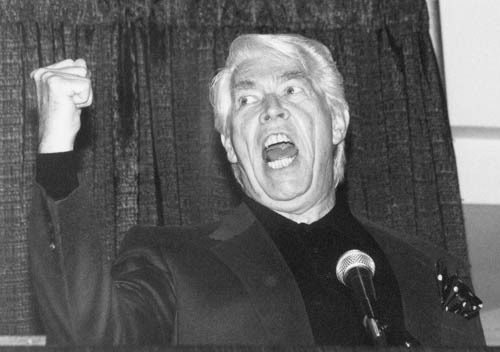 In February 1993, James Coburn appeared with several other health-conscious celebrities and Rep. Bill Richardson (D-NM) at a benefit for the Nutritional Health Alliance at Natural Products Expo West in Anaheim, California. The event was a pep rally to help mobilize the troops to oppose proposed new FDA regulations on the supplement industry and Coburn was a very effective speaker. He discussed how his arthritis was helped (he used the word "cured") by nutritional supplements. For a man who was 64 at the time, and who had been disabled by illness a few years before, he appeared unusually strong, vigorous, and dynamic as photographs taken that day attest.